You’ve probably heard that the eyes are the window into the soul, but have you ever considered that the mouth is the window into the body? Truth be told, this incredible insight actually is the reason why dentists are sometimes the first to know that a patient has a disease. Long before symptoms show up in other parts of the body, the mouth shows it all… And your dentist may have just saved your life! 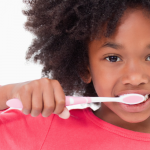 Dental health truly can be a key to greater overall health. You have a sinus infection. Sometimes, patients call because they think they need a root canal. As soon as the mouth opens though, the real reason becomes apparent. When you get a sinus infection, the roots of the top teeth under it may become sensitive a show symptoms of pressure. One way to find out at home is to bend over and touch your toes. If the pressure/pain increases when you do this, then the problem may not be related to your teeth; contact your primary care doctor to find out if you have a sinus infection. You have a vitamin deficiency. 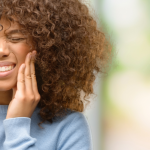 Vitamin deficiency can cause many oral conditions, including bleeding gums, burning tongue, tissue sloughing off, increased infection, and delayed healing. Iron deficiencies can often show up in the mouth as severe sores in the corners of the mouth or changes of the tongue. You may have health problems ranging from diabetes to bronchitis and a whole lot more. Your dentist can know all this just from your breath. Dentists are trained to identify different types of smells. “Fruity” breath could indicate diabetes or a dietary fast that is harming your health. “Fishy” breath is a sign of kidney or liver failure. Dentists have also identified gastroesophageal reflux, lung abscess, bronchitis, and tonsil stones just from bad breath. You have a drinking problem. Alcoholic patients are cavity-prone because alcohol dries out the mouth. Saliva is a protective coating in our mouths which neutralizes the acids that damage our teeth. So when your mouth is dry, the cavities can develop easily. You have oral cancer. 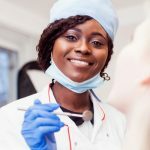 Your dentist should be the first to realize you are developing oral cancer because of these symptoms: unexplained bleeding in the mouth, red/white/speckled patches in the mouth, swellings, bumps, and changes in the way your teeth fit together. If your dentist suspects this, an oral surgeon should be consulted right away so that you can get a biopsy. As you can see, your dentist is in the first line of combat when it comes to protecting you from a variety of health problems! 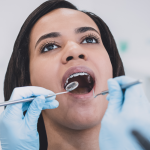 Besides checking on plaque and cavities, he/she is tuned in to what your mouth could be saying about the rest of your body. If it’s been awhile since you’ve been to the dentist, take this opportunity to get a checkup! No one ever regrets the decision to ensure that their teeth (and the rest of their body) are in optimal health. At Penn Dental Medicine, you can get cleanings and other procedure at lower prices. Click here to set up your appointment today.